LED Signs are the most powerful type of sign you can get for your business. Why? Because you have the power to create any message at any time and show multiple messages to your customers who pass by your business every day. We sell some of the highest quality LED signs on the market today. There IS a difference when it comes to LED signs. There are certain features of an LED sign you need to know about and make sure it performs as it should for your business! 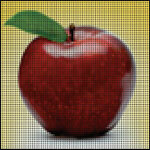 The resolution or "pitch" of the sign determines how clear of a picture you'll have on your sign. It's like the difference between a 1080p, 720p or regular tube TV. The pitch means the distance the LED are to each other. The smaller the pitch number the greater your "resolution" on your sign. The closer the LEDs are to each other means you have a greater concentration of LEDs. Most EMC signs have either 90 degree or 120 degree viewing angles. That means as people pass by, there is only a limited time to see and read the sign in that limited space. Our EMCs have 140 degree viewing angles. Almost double what the majority of signs seen across the country have. There are several ways to communicate between the computer with your programming software and your Electronic Message Center Sign. Use the included converter to hook directly from the USB port in your computer to the EMC. This option is good if the sign is located less than 300 feet from your computer. Common applications are building mounted EMC signs, and pole mounted if there is wiring access. This is the best option if your EMC is located a long distance from your programming computer or if you want the convenience of not having to dig a line to your sign. Wireless communication is easy to install and operate and is the most popular method of communication these days. Your electronic LED sign comes with easy to use computer software that allows programming a message center with your messages, animations and graphics. Once you install it on your computer you can have your first message on your EMC in a matter of minutes. The software allows you to bring your messages on and off the sign in many dynamic and fun ways. Pre-programmed messages and transitions make it easy to deliver a professional looking message with the click of your mouse! Here are some of the frequently asked questions regarding the technical aspects of the Electronic Message Center. Q : What is an LED? A : It is short for "light emitting diode". These tiny lamps contain semi-conductor chips that are used to create the color. Q : What is a "Pixel"? A : It is a complete dot formed by LED lamps. Q : What is the viewing angle? A : The viewing angle is the angle from the sign which the message can first be seen (or the point in which the message can't be seen anymore if you're driving past the sign). 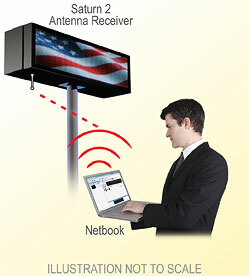 We offer 140 degrees for outdoor Electronic Message Centers. Q : What are the benefits of LEDs? A : They are very energy efficient, long lasting, provide high resolution, better clarity, and require little maintenance. Q : How is it energy efficient? A :It is UL listed as low wattage. Compared to incandescent light bulbs, they can cut costs up to 95%. Q : How long do LED lamps last? A : They have a life span of at least 100,000 hours (Approx. 10 years) with minimal maintenance. Q : How easy is it to maintain and service? A : Our LED lamps can be replaced with ease. Using front serviceability, signs can be diagnosed and repaired with less time. Q : How are the displays programmed? A : We have several different types of communication that can be used, depending on your needs. This includes a direct line and wireless communication. All signs can be programmed with a simple, windows-based software that can be used to create text and animation designs with numerous different effects. Q : What languages can be displayed? Q : What type of communication may be used when there is difficulty running a conduit? A : Our wireless communication can be used to program signs without running any cables or wires. Q : What are the applications? A : Banks, schools, theaters, airports, car dealerships, stadiums, hospitals, supermarkets, gas stations, restaurants, hotels, retail stores, shopping centers, churches, or wherever you need to get the message out. Q : What are the best uses for LED Signs? A : The uses for the sign are virtually LIMITLESS. If you want to promote a sale, welcome customers in, give incentives for new customers to enter, tell community news, wish someone a happy birthday... whatever! Q : What is your warranty? A : We offer a 5-year parts and service warranty. This includes the replacement or repair of any defective parts and components. We have one of the best warranties in the industry.